A review by James Buxton for EXTRA! EXTRA! 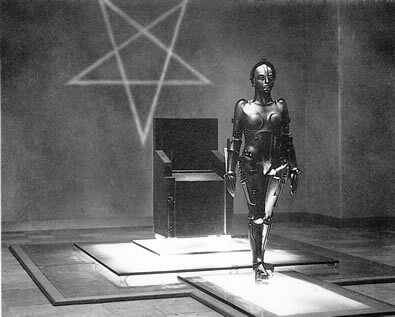 Fritz Lang's Metropolis was released in 1927 and cost an incredible 5 million marks to make. 36,000 actors were recruited, a thousand heads were shaved and hundreds of children were enlisted. It was recorded on 17 reels, roughly 2 million feet of film, and infamously inspired Joseph Goebbels to offer Lang a position as the director of Nazi film propaganda. These extraordinary statistics sum up the ethos of the roaring 20's, a decade of excess and enjoyment for the affluent; immortalized in the novels of F Scott Fitzgerald. It was the time of the Jazz age, when Flappers did the foxtrot and gentlemen, the jive - a time of careless frivolity which burst the banks of Victorian repression before the all consuming flood of the 1929 Great Depression. In a small museum in Buenos Aires, Argentina in 2008, several, dusty reels were discovered which held the entirety of Metropolis on 8mm film, not seen since its original release in 1927. Film archivists have carefully restored the original film and interspersed the important missing frames, recognizable by their grainy quality, to give the complete picture of Lang's masterpiece. 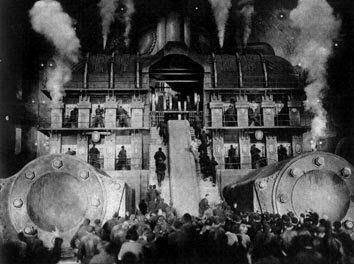 Metropolis is commonly regarded as one of the most influential science fiction films of all time; from George Lucas' Star Wars and Ridley Scott's Bladerunner to the blockbusters of today, it is impossible for sci-fi film makers to escape the colossal shadow of Neubabelsburg (New Tower of Babel) – its original title in German. Lang's visual style is indelible, and has without a doubt made a mark on the way architects and city planners have designed the cities we live in today. 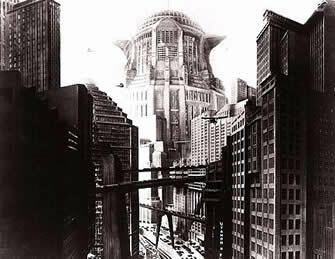 Metropolis is set in the year 2000, where towering skyscrapers reach to the heavens, where cars are stuck in eternal gridlock on walkways and bridges, and planes fly interminably overhead. Sound familiar? Yet at the same time the city is highly expressionistic, a product of the imagination and not meant to be pragmatic. 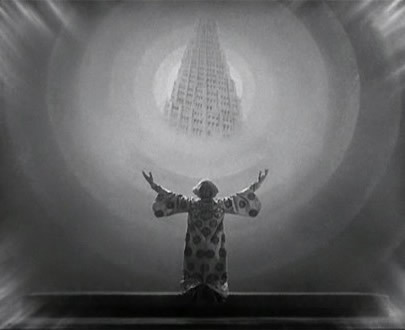 Lang's aesthetic is nothing short of visionary, yet the roles of the citizens, in parallel with the film’s technical limitations, are black and white. For beneath these monumental superstructures that luxuriously house the planners and their families, live the workers. Condemned to life in subterranean tower blocks, they carry out an unending cycle of industrial labour, operating the machines that keep the city alive. Lang applies the metaphor of a body to Metropolis; the planners represent the mind, while the workers serve as the hands. In the epigraph that introduces and surmises the film, “The mediator between head and hands must be the heart.” At the centre of this underground world is the Heart machine which Freder (Gustav Frohlich), the privileged son of the principle planner of the city, Joh Frederson (Alfred Abel), stumbles across after being lead there by a woman, Maria (Brigitte Helm) who appears to him surrounded by a rabble of dirty children in a pleasure grove known as the “Eternal Gardens”. Freder follows her down and witnesses an explosion in the heart Machine where he has a traumatic vision of workers being consumed in the gaping jaws of Moloch, a demon who thrives on sacrifice. Lang has the word Moloch spring up in the inter titles screen in a dynamically, avant garde font. His typographic forays lend an enjoyable visual sensationalism to the film. Freder duly alerts his father of this accident. His father is also informed by Grot, foreman of the heart machine about a blueprint found on the bodies of the dead workers. Irked that his advisor, Joesephat has not kept him afoot of these events, he fires him. Freder takes pity on the shocked man and offers him the opportunity to stay at his flat instead of being forced underground, before returning to the underworld. Here, he is overcome with compassion and in a move of sympathy he swaps roles with a worker who is overloaded by the laborious task of moving dials on a clock face to coincide with flashing lights. Lang repeatedly uses an array of timepieces, from a clock which counts up to 24, to one that counts up to 10 - encompassing the length of each workers shift. The presence of Time is continually reasserted throughout the film, contributing a palpable sense of pressure; as the fleeting clock hands spin past to the beat of the tyrannical frog march towards industrialization. Freder's double finds himself enjoying the high life of the Bourgeoisie when he is suddenly assailed by one of Joh Frederson's men, a nefarious man who has been sent to keep an eye on his son. This man appears unintentionally comic to a modern audience as he surreptitiously peers over his newspaper in the manner of an arch-villain. He forces the worker to take him back to Freder's apartment to uncover where the real son is. Meanwhile Joh Frederson visits Rotwang, the original prototype of the mad scientist, his white hair, frazzled as if he has been zapped by a Van de Graff Generator. Rotwang wears a black glove on one of his hands as it has been destroyed in an accident; clearly the impetus for Peter Sellers’ hilarious Dr Strangelove. Rotwang reveals the blueprint to be a hidden underground lair where the workers are congregating. He then reveals his Maschinemensch, a robot woman who bears more than a passing resemblance to C3PO from Star Wars. Rotwang maniacally announces that he will give her the face and body of Hel, Freder's dead mother who both men were hopelessly in love with. Yet when they descend to spy on the workers in the lower depths, they discover Maria surrounded by the workers, who listen to her sermon on the Tower of Babel in rapt attention. As one can see, Wells was not Metropolis's biggest fan but his criticism is important in achieving a balanced understanding of what is so appealing and enduring about the first film ever to be included on the UNESCO Memory of the World register of essential artefacts. Maria's version of the story however is not a teaching against pride but it is an attempt to explain the mass labour necessary to achieve construction on such a grand scale and its consequences, which inevitably lead to class distinction and ultimately revolution. Meanwhile, back to the story. Joh Frederson orders Rotwang to give his robot the face of Maria to urge the workers to rebel, so as he can have an excuse to use violence against them. HoweverRotwang notices Frederson's son approach Maria after the workers have left, he explains how he is the mediator and has come to unite head and hands as well as being madly in love with her. Rotwang gleefully conceals this from Frederson and carries out his biddings. 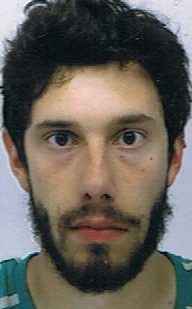 He captures Maria, makes his robot wear her face and sends her out into the underworld to incite chaos and ruin. Rotwang falls in love with the real Maria during his experiments and keeps her captive in his old house full of pentagrams and bubbling test tubes. Thus the workers rise up in revolt under the guidance of the mechanised Maria and spurn Freder's claim to be the mediator. Bloodthirsty for vengeance they break free from their subterranean prisons with their wives to bring the battle to the Bourgeoisie. However in the ensuing frenzy the unmanned machines are sabotaged and breakdown, causing a catastrophic flood that threatens to drown all their children. Freder and Maria along with Joesephat rescue the children from the rising water levels while the mob realizes their children could be dead. In reaction they direct their anger at Maria who they blame for inciting their mindless violence and chase the real Maria down, only they fortunately run into the cyborg Maria who is being paraded about by the Bourgeoisie outside their club as they have become fanatically obsessed with her. Lang depicts the breakdown of society on both sides of the divide, as the aristocrats are lured disastrously into a self destructive decadence by the robot Maria in conjunction with the workers revolt. Within the Weimar setting of cabaret, Maria sits astride a Hydra, representing the seven deadly sins, urging them to indulge their unquenchable appetite. The mob eventually ties her to a stake and burns her, much to her own relish, only for Freder to arrive and mistake her for the real Maria. Yet when she begins to transform back into a robot, he notices the real Maria being chased across the church battlements by the crazed Rotwang. He pursues him and manages to wrestle her back from the mad scientist who falls to his timely death. Freder descends and succeeds in uniting the oafish Grot with his disdainful father in an ending that may be construed in a number of politically charged ways. Is Metropolis a critique of the industrial age and capitalist structure? Does the film suggest that work has so dehumanized us that we have become automatons and that the only truly egalitarian resolution to our problems is one of social democracy? Or is it anti-socialist? Does the depiction of the result of the revolution - the potential death of all the worker's children suggest an anti-socialist rhetoric? These questions may never be answered with absolute certainty, but Metropolis is clearly a film influenced by the Marxist ideology of the Russian Revolution of 1917, though it may not agree with its precepts. The workers of Metropolis are all cogs in the great machine of industrialization, while the figure of the machine woman embodies Lenin's ambitions to create a workforce free from fatigue and irrational desires. The workers in Metropolis move in a highly stylised unnatural way, they judder forward, a black mass of shaved heads, denied of individuality. On the machines themselves they work in a syncopated rhythm, a kind of industrial ballet that is powerfully reinforced by the Wagnerian heights of Huppertz score that soundtracks the entire film. The German Expressionism which Lang employs has much in common with the Soviet propaganda of the early 20th Century; here workers are encouraged to join together for a supreme higher purpose and sacrifice their lives so that their grandchildren will be able to reap the benefits of the new industrialized age. The cinematographers use rousing collages of pistons and machines steaming alongside marching workers to give the impression of the unstoppable advance of industry. The collage technique is used frequently with some memorable effects, such as a close up of an array of eyes all staring and blinking lecherously at the Machine Maria. Lang's own repulsion to a film universally regarded today as a masterpiece is intriguing, for it reveals a film maker whose maturity has allowed him to develop a paradoxical loathing for what has become his most critically acclaimed work. Yet Metropolis today, is perhaps more valuable than it was during Lang's lifetime, not only for how it parallels our own technologically obsessed culture but also as a record of his and his wife, von Harbou's pioneering aesthetic vision of the future, for they correctly predict civilizations compulsion to create megalithic structures - from the Freedom Tower in New York and the Shard in London in the West, to the Petronas Twin Towers in Kuala Lumpur and the Burj Khalifa in Dubai in the East. It seems man is in a continual competition to outdo one another and claim the title of tallest building in the world. Clearly we have developed technologically, but have we matured in any way psychologically? For what this really amounts to, seems no different from two children sitting on a beach, seeing who can build the biggest sandcastle.